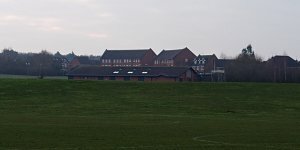 The Grange Park Parish Council currently own two facilities; the Community Centre located next to the local Woodland View Primary School and Foxfield Pavilion which is situated within the Country Park. Both of these facilities are available to the public for hire. The Grange Park Community Centre was officially opened on 20th May 2003 by the Duke of Gloucester. Since then it has become the focal point of our community. There is already a wide range of activities taking place at the centre on a regular basis each week. On the 1st Thursday of each month the Grange Park Parish Council gather at the Community Centre for their monthly meeting. Why not have a browse of the Timetable for something that interests you ? The cafe/bar was introduced in 2013 and features a fully stocked bar as well as providing hot drinks and food and snacks. There is a comfortable sofa seating area as well as tables and chairs for 40 people with an outside decking area overlooking the bowling green.